As a designer and educator in Canada, I have collaborated with exceptional people to positively affect our communities, cultures, and values. Website for Geek Squad Home Membership - Best Buy Canada — Website design for Best Buy Canada's Geek Squad Home Membership page. 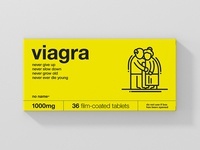 No Name Viagra — 'No Name Viagra.' Now on sale. Best Friends Forever — "Best Friends Forever". The mug designs for E-Commerce giants. Postage Stamp Design for Japan Post Co., Ltd. I'm a Designer. Not a Screwdriver. Duct Tape Against Humanity — The packaging tape design for Duct Tape Against Humanity. T-Shirt for 5AM / ALL IS ART — The t-shirt design for 5AM / ALL IS ART. Brochure for Congress World Conferences Inc. — The brochure design for Congress World Conferences Inc.
Brochure for Congress World Conferences Inc.
Snapback for Salmon Digital — The snapback design for Salmon Digital. Emblem for The Royal Regiment of Canadian Artillery — The emblem for The Royal Regiment of Canadian Artillery. Illustration for Metro Newspaper — "Metro. Free daily." A concept illustration for Metro Newspaper. Rate Cards for Crelogix Acceptance Corporation — The rate cards for Crelogix Acceptance Corporation. Website for CMW Insurance — The website for CMW Insurance. Website for ACP — The website for Alberta College of Pharmacists.